Trusted Insight’s inaugural Alpha Conference will bring together the top institutional investors for thought-provoking discussions on the future of private markets and institutional investing. Hear from top chief investment officers on alternative assets. Gain insights from different institution-types on how they are repositioning their portfolios across venture capital, private equity, hedge funds, real estate and real assets. Pose your question on trends in private credit to our LP Panel. Discuss how investment fund models and fees are evolving. Learn from LP experts how to tap into emerging markets. Mingle over drinks and canapés with your LP peers at our evening drinks reception. 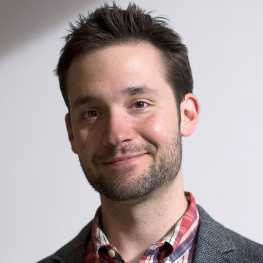 Alexis Ohanian is a product, marketing and community expert as well as a prolific early stage investor. Mr. Ohanian was partner and ambassador-to-the-East for Y Combinator, a seed accelerator regarded as “the most powerful startup incubator in the world.” He is a co-founder of Reddit, a content and media aggregator acquired by Condé Nast in 2006. He helped launch Hipmunk. He also has a BA in History and BS in Commerce from University of Virginia. 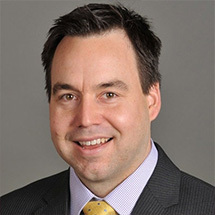 Stuart Mason is the associate vice president and chief investment officer for the University of Minnesota. 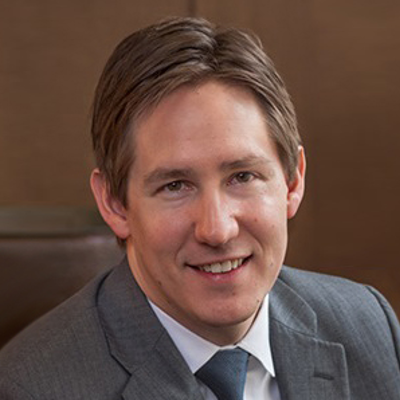 Previously, he worked for more than a decade in financial services as a senior investment banker for Dougherty & Company, EVEREN Securities, Dain Rauscher and Wells Fargo & Company. Mr. Mason graduated from the Carlson School of Management at the University of Minnesota and attended St. Olaf College. 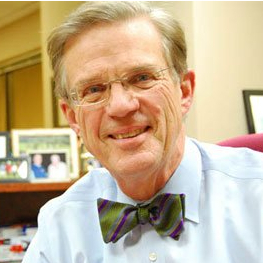 In 2015, Trusted Insight magazine named Mr. Mason a Top 30 Endowment Chief Investment Officer. Andrew Eberhart is chief investment officer for a prestigious single-family office located in Pittsburgh. 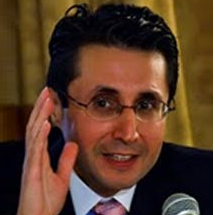 Previously, he served as managing director at Lazard Freres & Company, managing partner at the Marshall Fund, managing director at Citigroup Private Bank and the private client group of U.S. Trust and investment consultant at Cambridge Associates. Mr. Eberhart earned a BA in Economics from Cornell University and an MBA from the Wharton School at the University of Pennsylvania. He served as a U.S. Naval Aviator. In 2015, Trusted Insight magazine featured Mr. Eberhart on a Top 30 Ivy League Graduate Chief Investment Officers. Chairman, chief executive and co-founder of fintech phenomenon SoFi Mike Cagney is a veteran Wall Street executive who served as head of proprietary trading for Wells Fargo & Company. 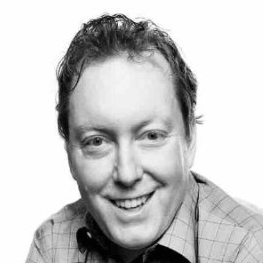 Mr. Cagney is also co-founder of Cabezon Investment Group, a global macro hedge fund, as well as non-executive chairman of ReFlow. In addition, Mr. Cagney founded and served as chairman and chief architect of Finaplex, later sold to Broadridge. He has an MS in Management from Stanford Graduate School of Business, where he was a Sloan Fellow, as well as an MS in Applied Economics from University of California, Santa Cruz. As chief investment officer of W.K. Kellogg Foundation, Joel Wittenberg is in charge of managing and monitoring a $8 billion investment portfolio. Prior to being named CIO in 2009, he served as vice president and treasurer of Kellogg Company, a multinational food manufacturer with a market capitalization of more than $24 billion. 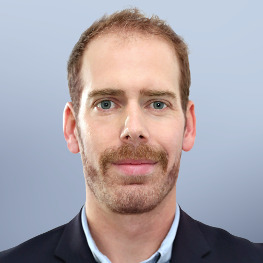 Mr. Wittenberg studied Accounting and Business at the Eli Broad College of Business at Michigan State University and the Stephen M. Ross School of Business at University of Michigan. In 2015, Trusted Insight magazine named Mr. Wittenberg a Top 30 Foundation Chief Investment Officer. Mr. Graziano is a Director of Investments at the W. K. Kellogg Foundation. Prior to joining Kellogg in July 2017, Graziano served as an Associate Portfolio Manager at Mastrapasqua Asset Management. Prior to that time, he served as an Investment Analyst at William Blair & Company. Graziano holds a B.A. from Michigan State University and an M.B.A. from the University of Chicago Booth School of Business. He has earned the Chartered Financial Analyst and Chartered Alternative Investment Analyst designations and is a member of the CFA Society of West Michigan. He currently serves on fund advisory boards for several private equity and venture capital managers. In addition to his work at Kellogg, Graziano serves as an investment committee and board member for the Woodward Hines Education Foundation. He is married to Sarah Curtis Graziano, resides in Kalamazoo, and has three young daughters. Graziano was named on Trusted Insight's Top 30 LPs Investing Real Assets, Real Estate. As chief investment officer of Hartford HealthCare, a leading integrated hospital and health care system, David Holmgren is in charge of managing and monitoring a $3 billion endowment and pension fund. 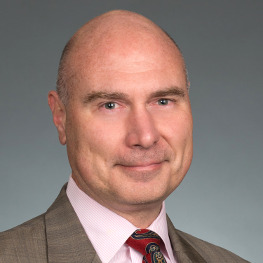 Previously, he served as principal investment officer for the Connecticut State Treasury and as senior portfolio manager for DSI International Management, a unit of UBS. 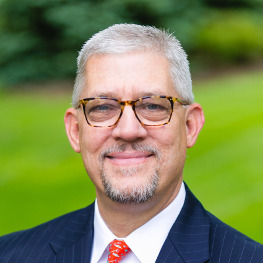 A 26-year investment management professional, Mr. Holmgren received a BA in Economics from Denison University and an MBA from the Columbia Business School of Columbia University. 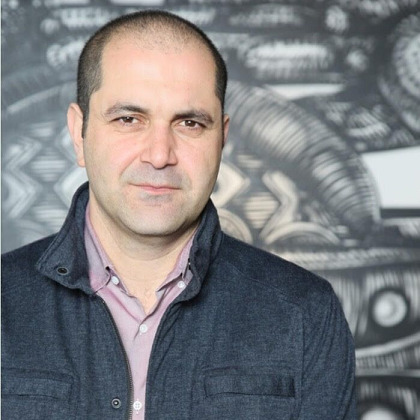 Born in Iran, Shervin Pishevar is a Silicon Valley entrepreneur and super angel investor who is co-founder and executive chairman of Hyperloop One as well as head of Sherpa Capital, a venture capital firm and seed investor in Airbnb, Munchery and Uber. 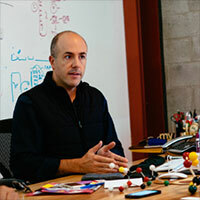 Prior to Shevrin Capital, he served as managing director for Menlo Ventures. 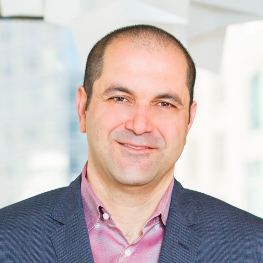 U.S. President Barack Obama awarded Mr. Pishevar with the Ellis Island Medal of Honor and appointed him top the J. William Fulbright Scholarship Board. A graduate of the University of California, Berkeley, his research has been published in the Journal of the American Medical Association . 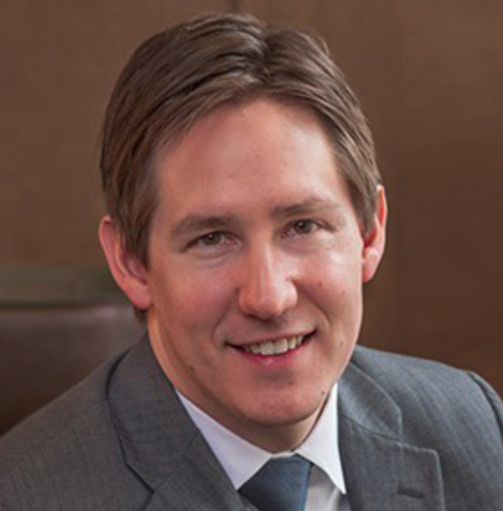 Daniel Parker became deputy chief investment officer of Texas Tech University in 2016. Previously, he held the title of senior investment officer at Helmsley Charitable Trust. A former Wall Street professional, he has also worked for BlackRock, Citigroup and Legg Mason. Mr. Parker served as an in the United States Marine Corps where he led infantry and reconnaissance. He received an MBA from The College of William and Mary and a BA from Tulane University. In 2015, Trusted Insight magazine named Mr. Parker a Top 30 Rising Venture Capital LP. 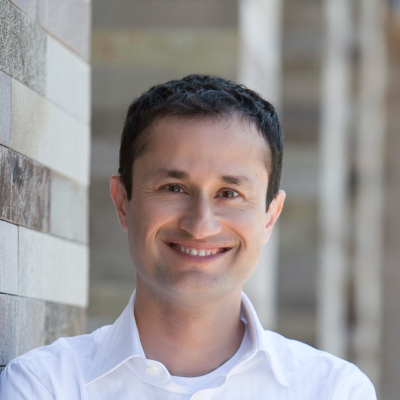 Aaref Hilaly is a partner at Sequoia Capital and a serial entrepreneur who previously founded CenterRun and Clearwell. 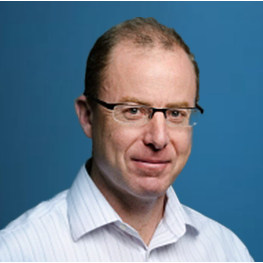 He serves on the boards of Clari, Guardant Health, Skyhigh Networks and several other private and public companies. Joshua Stern joined Robert Wood Johnson Foundation, a $9.2 billion endowment, in January 2012 as a senior investment officer. He is in charge of overseeing private credit, private equity, real estate and venture capital. Prior to RWJF, he headed private market investing for Rockefeller University. Previously, he served as director in the higher education and not-for-profit group of Standard & Poor’s Financial Services. 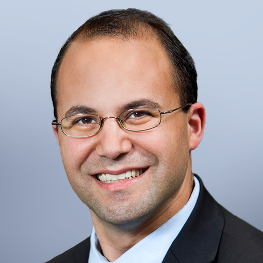 Mr. Stern received an MPA in Public Finance from the Maxwell School at Syracuse University, an MS in Nonprofit Management from New York University and a BA in History and Sociology from Binghamton University. 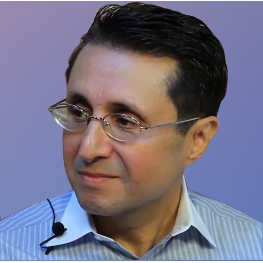 Ahmad Saad is the Head of Fixed Income and Private Equity at a prominent single family office based in Houston, Texas. He joined in 2005 and is responsible for the Private Equity and Fixed Income portfolios and is a member of the Investment Committee. Ahmad received his BA in Economics from Tufts University in 2005 and became a CFA charterholder in 2009. Sam Gallo is the chief investment officer at University System of Maryland Foundation, where he is responsible for the investment portfolio totaling more than $1.2 billion. 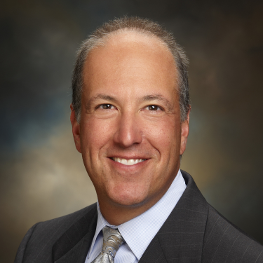 Previously, Mr. Gallo has served as a senior official with PricewaterhouseCoopers and Ennis Knupp & Associates. He earned an MBA from the University of Chicago Booth School of Business and BAS in Accounting and Finance from the University of Illinois. 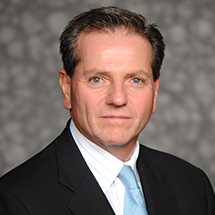 Mr. Gallo is president of the CAIA Washington, D.C., a chapter of CAIA Association. He is also investment committee chairman and a board member of the Bender Jewish Community Center of Greater Washington. 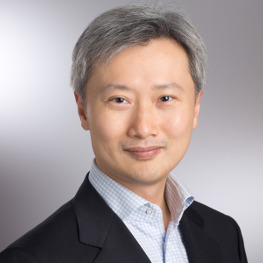 Alan Chang is partner and managing director of Capricorn Investment Group, overseeing its multi-asset-class and emerging market portfolio in Asia and well as its global venture portfolio. Prior to Capricorn, Mr. Chang worked for DLJ New England in early-stage seeding as well as Montgomery Securities as a corporate finance adviser. A CFA charterholder, he received his MBA from Harvard Business School and BSE from Duke University. 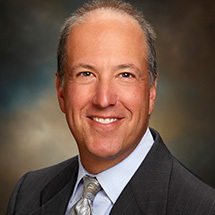 Eric Kirsch joined Aflac in November 2011 as the first senior vice president and global chief investment officer. In 2012, he was promoted to executive vice president. As global CIO, he is in charge of the investment portfolio and investment team. Previously, he served as managing director and global head of insurance asset management for Goldman Sachs Asset Management, the investment management arm of Wall Street firm Goldman Sachs. For GSAM, he supervised a global team of 55 managing more than $70 billion. Prior to Goldman Sachs, he worked for Deutsche Asset Management and Bankers Trust Company. A CFA charterholder, Mr. Kirsch has a BBA from Baruch College and an MB.A from Pace University. Mr. Geoffrey G. Clark is Senior Managing Director of Starr Investment Holdings LLC and Director of C.V. Starr. Prior to the Starr Companies, Mr. Clark was a Partner and Managing Director of Goldman, Sachs & Co. where he served as Co-Head and Co-Chief Investment Officer of the Private Equity Group. 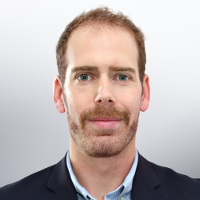 Mr. Clark graduated as a Leslie Wong Fellow with a Bachelor of Commerce in Finance from the University of British Columbia, and is a Chartered Financial Analyst (CFA). For Ascension Investment Management, a $33 billion endowment, Dale Hunt is in charge of leading its private equity portfolio. Previously, Ms. Hunt, a 33-year investment management professional, oversaw a $750 million portfolio as chief investment officer of West Virginia University Foundation. She has also worked for ABN AMRO, NatWest, S.G. Warburg, Prudential and Smith Barney. Ms. Hunt has a BA in Liberal Arts from Boston College and an MBA from Pace University. In 2016, Trusted Insight magazine featured Ms. Hunt on a Top 30 LP Private Equity Investing LP. Subrata Mitra is from Kolkata, India and joined Accel in 2008. A one-time entrepreneur turned venture capital investor, his Erasmic Venture Fund rebranded to become Accel India. He was the first investor in Flipkart, Mu-Sigma, Virident, Perfint and Myntra. Prior to Erasmic, Mr. Mitra was managing director of Tavant Technologies. He also founded of Firewhite. Mr. Mitra studied Computer Sciences at the Indian Institute of Technology at Kanpur and received his MS from UDel, and Ph.D. from Urbana. 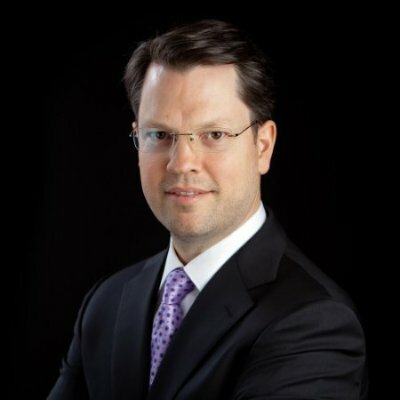 Jon Nieman is head of private equity for the investment management department of Saudi Aramco. 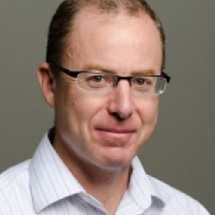 Previously, Mr. Nieman co-founded Saudi Aramco Energy Ventures, the corporate venture capital arm of Aramco. Prior to Saudi Aramco, he was Managing Director of Redline Partners, a member of the private market advisory group of State Street and portfolio manager of private equity for the State of Michigan Retirement Systems. 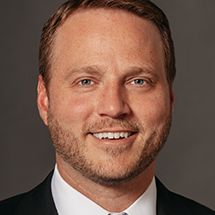 Mr. Nieman earned BBA in Finance from Eastern Michigan University and an MBA from Kenan-Flagler Business School at the University of North Carolina. 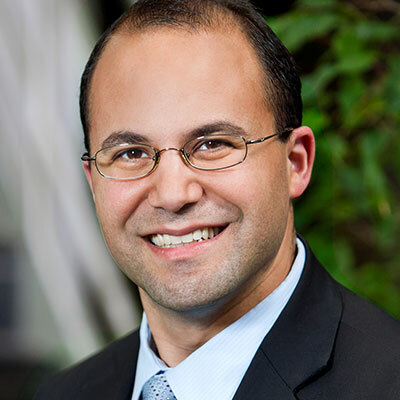 Rodney Overcash is investment director of credit for each grantmaking unit of Margaret A. Cargill Philanthropies: Margaret A. Cargill Foundation; Anne Ray Charitable Trust and; Akaloa Resource Foundation. The stated mission of each organization is to provide meaningful assistance and support to society. Previously, Mr. Overcash served as investment director of alternative credit and inflation strategy for North Carolina Retirement System and director of research at Marquette Associates. Mr. Overcash has a BA in Economics and International Studies from University of North Carolina at Chapel Hill and an MBA from the University of Chicago. 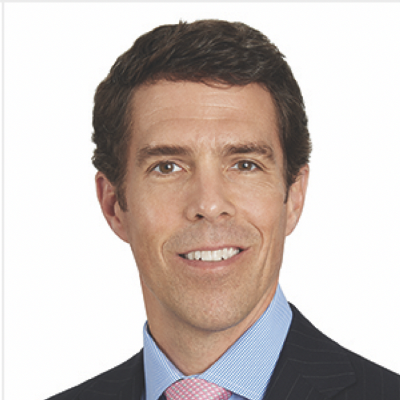 John Heneghan is in charge of the hedge fund and private equity fund family for Equity Group Investments, a 40-year-old private investment firm founded by commercial real estate mogul Sam Zell. In addition to his role with EGI, he is president and founder of Servant Financial, a registered investment adviser. A CPA, he served as Chief Financial Officer of CNA Surety and Controller of Capsure prior to joining EGI in 2005. 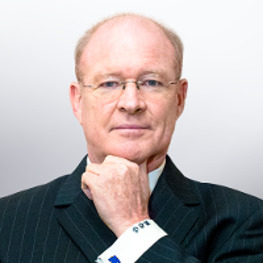 Earlier in his financial services career, Mr. Heneghan worked for Deloitte as senior audit manager. Mr. Heneghan received a BA in Accounting from the University of Illinois. Tom Masthay is director of real assets at Texas Municipal Retirement System, a $25 billion pension fund. Prior to joining TMRS in 2014, he was principal investment analyst for NextEra Energy, a publicly traded clean energy company. In addition, he served as director of real assets for the $15 billion Kentucky Retirement Systems. A CFA and CAIA charterholder, Mr. Masthay is also a certified Financial Risk Manager. He completed received a BBA and an MBA in Finance from the University of Kentucky. In 2016, Trusted Insight magazine selected Mr. Masthay as a Top 30 Future Pension Fund Chief Investment Officer. Mark Canavan is in charge of a $1.7 billion real asset portfolio for the New Mexico Educational Retirement Board and is credited with leading the creation, design and implementation of the infrastructure, real estate and timber platform for the $12 billion NMERB. Prior to joining NMERB in 2007, Mr. Canavan served as chief investment officer for the Office of the State Treasurer of New Mexico. 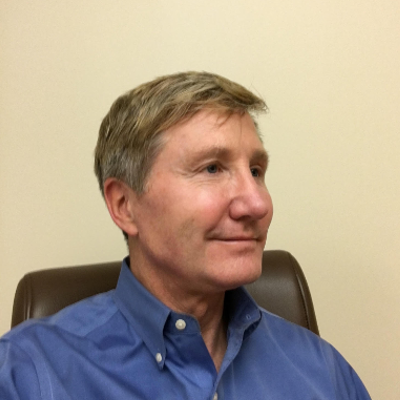 A graduate of the University of New Mexico, he began his career in finance in 1989 as a financial planner for Ameriprise Financial. Mr. Canavan has also worked for Merrill Lynch & Company and Prudential Financial. David Barcus is member of the investment team for the $750 million Denison University endowment. Mr. Barcus began his financial services career in accounting but found the problem-solving required in finance and investing a more rewarding challenge. Before joining Denison University in 2013, he served as vice president of hedge fund manager selection for Amundi Alternative Investment, a global asset management firm headquartered in Paris. Mr. Barcus received an MBA from DePaul University and a BS in Accounting from Miami University. Trusted Insight magazine named Mr. Barcus to its Top 30 LP Credit Investor list in 2016. Seungha Ku, partner at CreditEase, is head of its offshore private equity team and is responsible for a global private equity portfolio. 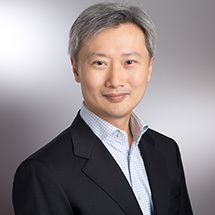 Prior to CreditEase, he worked Grosvenor Capital Management and Credit Suisse, where as a founding member of its Asia business he led investing and co-investing. Mr. Ku also worked at Macquarie Group in New York. He graduated from the University of Pennsylvania with a BA in Economics and studied at Tsinghua University through a study abroad program. 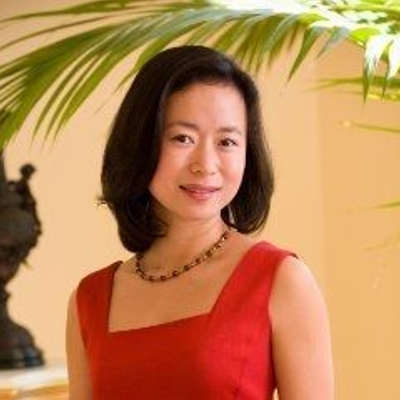 Pamela Campbell is managing director of hedged strategy with Washington University Investment Management Company and is responsible for WUIMC hedge fund portfolio. Ms. Campbell joined WUIMC in 1997 from McDonnell Douglas where she managed its defined benefit department. 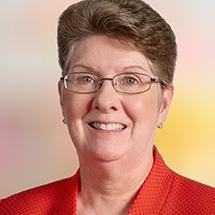 She is a member of the investment committee of the Missouri Foundation for Health and is on the finance committee of St. Anthony's Charitable Hospital Foundation. She earned a BA in Psychology from the University of Illinois Urbana-Champaign and an MBA from Saint Louis University. In 2016, Trusted Insight magazine named Ms. Campbell a Top 30 Hedge Fund LP. 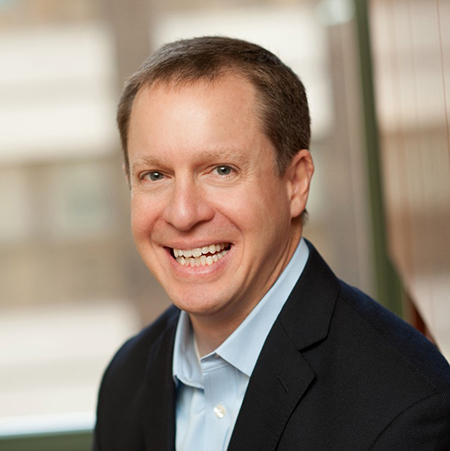 Jonathan Hook joined The Harry and Jeanette Weinberg Foundation as its inaugural chief investment officer in May of 2014. He oversees the foundation’s $2.2 billion of investments across various asset classes. Previously, Hook was the chief investment officer at The Ohio State University from 2008 to 2014 and the chief investment officer at Baylor University from 2001 to 2008. Prior to institutional investing, Hook had a 20-year career in commercial and investment banking. Hook has a bachelor’s degree in economics and sociology from Willamette University and an MBA in finance from Baylor University. Karthik Reddy is managing partner at Blume Ventures. He’s the architect of the Blume business model and investment hypothesis framework which he constantly iterates with his team members. He is an alumni of IIT (Roorkee), IIM (Bangalore) and the Wharton School. 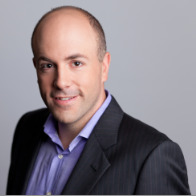 Eric is a Co-Founder and Managing Partner at Monashees, a Brazilian venture capital firm. He sits on the Board of Directors for companies such as VivaReal, Oppa, Bidu, and Peixe. Before Monashees, Eric focused on venture capital and private equity investing in the Americas with General Atlantic Partners. Chris is the President and Chief Investment Officer of Lockheed Martin Investment Management Company. During his 10+ years at the company, he built and lead a team of 45 to manage over $70 billion in assets. Prior to Lockheed Martin, Chris was the President of Diamond Capital Management, where he managed over $15 billion. Chris graduated with a MBA from Stanford University and a Master’s degree in Statistics from The University of Hong Kong. 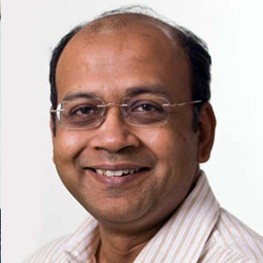 Sandesh is a General Partner and Lead U.S. Partner at Premji Invest, a large multi-strategy asset manager. He led investments into companies such as Coupa and ServiceMax (acquired by GE for $1B). Before Premji Invest, Sandesh was an Investment Officer at Seligman Technology Group and Managing Director at Bay Partners. Jason is the Founding General Partner at SaaStr, an early stage VC fund and community of SaaS founders and entrepreneurs. Jason was also managing director of Storm Ventures. Prior to becoming an investor, he was a co-founder of EchoSign (acquired by Adobe) and NanoGram Devices (acquired by Wilson Greatbatch for $45M). Justin is the Founder of the Zero-F Incubator. He was previously a Partner at Y Combinator and the Founder of Justin.tv/Twitch Interactive (acquired for $1.1B by Amazon). Justin was also a founder at Exec (acquired by Handy) and has launched Whale, ScriptDash and Atrium through the Zero-F Incubator. Janet is an Investment Director at Kamehameha Schools, a $10B educational endowment, where she focuses on alternative assets. She was previously a partner at Novak Biddle Venture Partners and served on the board of WealthEngine and served as a board observer for portfolio companies such as Starfish Retention Solutions and eMinor. 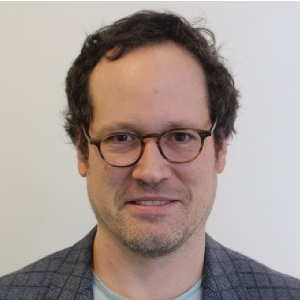 Jake Klamka is the founder of the Insight Data Science Fellows Program, a post-doctoral fellowship that helps quantitative PhDs transition from academia to careers in data science. Insight Fellows are now data scientists at top tech companies like Facebook, Microsoft, LinkedIn, Twitter, Square and many others. 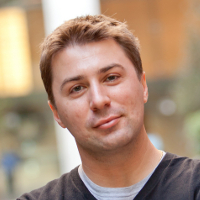 Jake was an entrepreneur in the Y Combinator winter 2011 session and prior to that was a particle physicist at the University of Toronto, working on the Large Hadron Collider experiment. Bradford is the founder and CEO of Merlon Intelligence Inc. 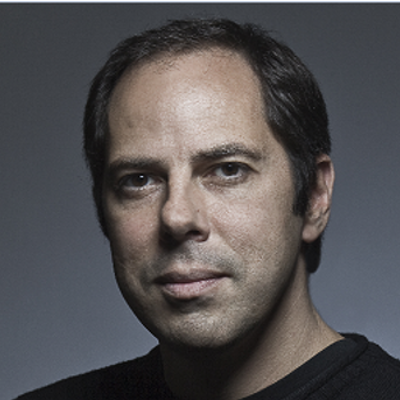 He is also a founding partner at DCVC, a leading machine learning and big data venture capital fund. Bradford has founded two machine learning startups since 2009. Prismatic used machine learning for personalized content ranking and natural language processing for topic classification. Flightcaster used machine learning to predict the real-time state of the global air traffic network, using FAA, carrier and weather data. 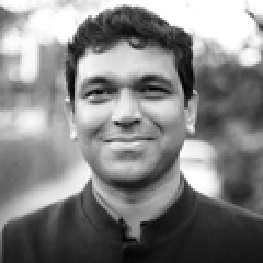 He has spent 7 years building statistical trading strategies, 6 years building machine learning startups and 8 years on systems engineering, including 2 years working on distributed systems at Google. Bradford studied Computer Engineering and Finance at Virginia Tech, and Mathematics at the University of California, Berkeley. 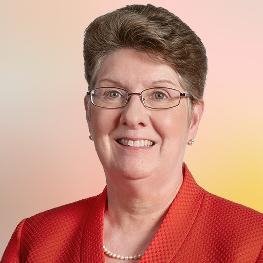 Elaine Orr is the former head of investing for $8 billion Silicon Valley Community Foundation, which is dedicated to supporting surrounding Santa Clara County and San Mateo County in California. For SVCF, she served on the investment committee and handled stewardship of charitable capital. Previously, she had a 15-year career in portfolio strategy and client relationship management with BlackRock. Ms. is a CFA charterholder and has a BA in Commerce and Finance from The University of British Columbia. She is a board member of Pangea Legal Services. Trusted Insight magazine recognized Ms. Orr has a Top 30 Rising Foundation Star. 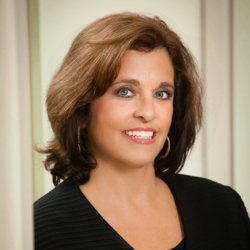 Melissa is the Founder and Managing Partner at Arbor Ventures. 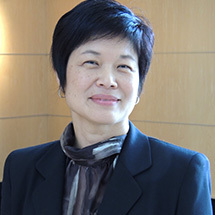 She has 25 years of experience as an entrepreneur and venture investor in Silicon Valley and in Asia. 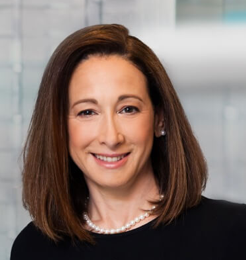 Melissa was previously a Managing Director and member of the Investment Committee at VantagePoint Capital Partners, where she led investments in companies such as Pure Digital Technologies (acquired by Cisco Systems for $605M) and Finisar (NASDAQ: FNSR). 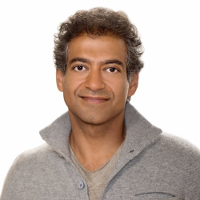 Naval is the CEO and Co-founder of AngelList. He previously co-founded Epinions, a consumer review site that was acquired by Shopping.com, and Vast.com, a big-data-as-a-service platform. Naval is also an active angel investor and has invested in dozens of companies such as Twitter, Uber, and Stack Overflow. 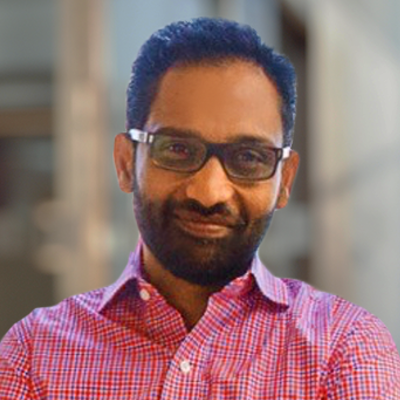 Nakul joined Lightspeed in 2014, and focuses primarily on enterprise software/SaaS investing. 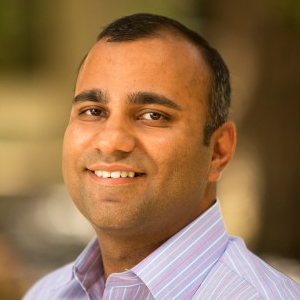 Previously, Nakul worked at Battery Ventures where he focused on enterprise software investing. 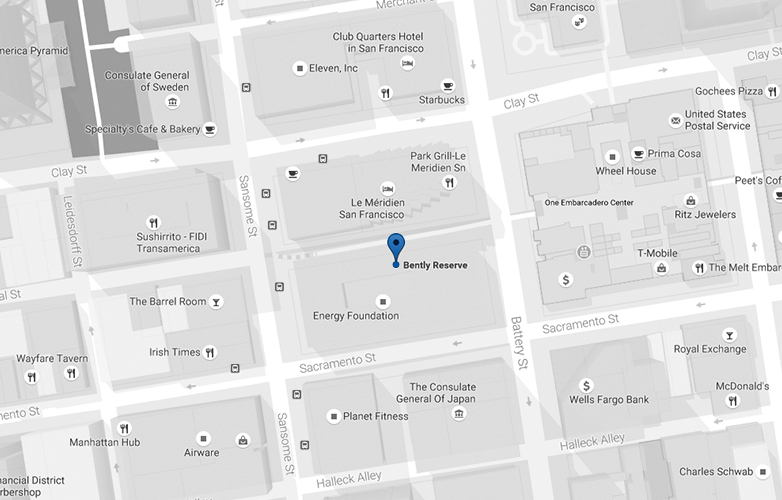 At Battery, Nakul helped lead the firm’s investments in category defining companies such as Marketo, BlueJeans Networks, Gainsight, Intacct, 6Sense and Yesware. Prior to Battery, Nakul worked at Blue River Capital, a growth stage investor focused on India. Early in his career, he was an analyst with Deutsche Bank in Mumbai, India. Nakul holds an MBA from the Indian Institute of Management (IIM), Lucknow and a B. Tech from Indian Institute of Technology (IIT), Kanpur. 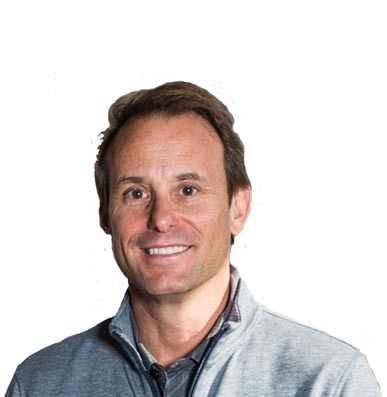 Chief Executive Officer - Science Inc.
A long-time internet entrepreneur and angel investor, Mike Jones founded his first company while still in college and has built and sold a number of online and mobile businesses. 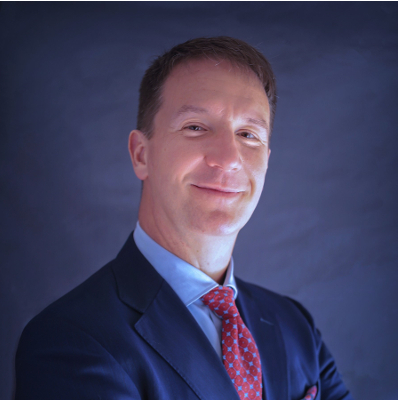 As chief executive officer of Los Angeles-headquartered Science, Mr. Jones has leveraged his professional experience and industry network to provide a centralized platform for building and investing in innovative technology. Prior to Science Inc., he held the role of CEO for Myspace. Mr. Jones has a BAS in International Business and Marketing from the University of Oregon, which named him its Student Entrepreneur of the Year in 1997. 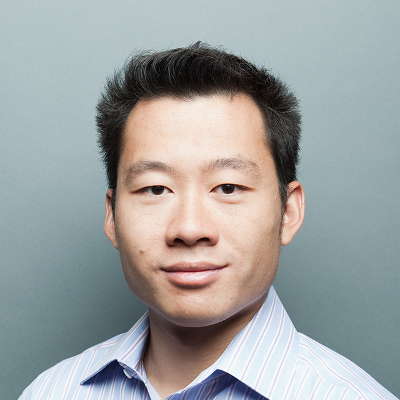 Peter Pham began his entrepreneurship in enterprise hardware in software until 2008, when he relocated to Silicon Valley and he helped expand Photobucket into a leading image and video hosting website with a user base of 61 million. As co-founder of Santa Barbara, Calif., startup studio Science Inc., Mr. Pham has the distinction of becoming the first-ever investor in DogVacay as well as Dollar Shave Club. A stalwart of Southern California, he studied Biology and Business Management at the University of Southern California, Irvine. 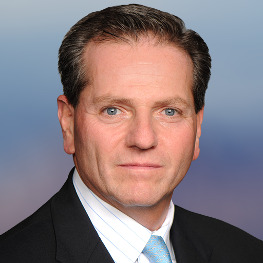 Prior to rejoining Juniper Capital Advisors as Chief Executive Officer and Managing Partner in 2014, Edward Geiser worked for Och-Ziff Capital Management Group, where he headed private energy and midstream investing from 2008 to 2013 as Managing Director. Mr. Geiser was a co-founder of Juniper Capital, a Houston energy fund placement agent. Earlier in his financial services career, he worked in energy investment banking for Merrill Lynch & Company and Morgan Stanley. Mr. Geiser received a BS in Finance from Louisiana State University. 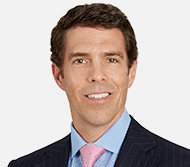 Tristram Perkins, Managing Director of Neuberger Berman - Head of Secondary Private Equity. He is also a member of the Secondary Fund Investment Committee. Tristram is primarily responsible for sourcing, evaluating, structuring and purchasing secondary investment opportunities. Tristram joined NB Private Equity in 2004 from Deutsche Bank, where he worked for eight years in the private equity division investing in secondary private equity and directly in operating companies. In addition, together with the other Principals, he managed the divestiture of Deutsche Bank's $2.4 billion private equity fund portfolio. Prior to joining Deutsche Bank, Tristram worked for over three years in investment banking with Alex. Brown & Sons in New York, working in the Restructuring Group. 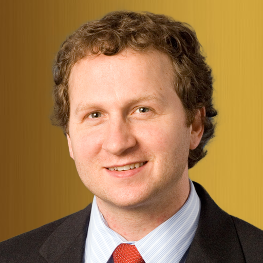 Tristram received his MBA from Columbia Business School and his BA from Middlebury College. Doug Kramer, Managing Director joined the firm in October 2015 as Co-Head of Quantitative & Multi-Asset Class Investments (QMAC). 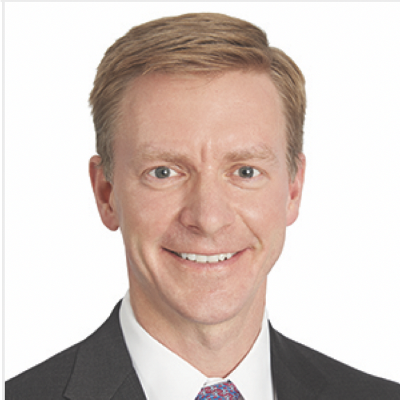 Doug is responsible for growing and expanding the firm’s systematic and multi-asset class strategies. 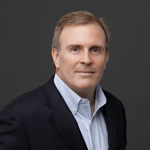 Prior to joining the firm, Doug was Chief Executive Officer at Horizon Kinetics, an investment management firm. While with Horizon, Doug’s focus was engaging with clients, as well as building their successful options strategy. 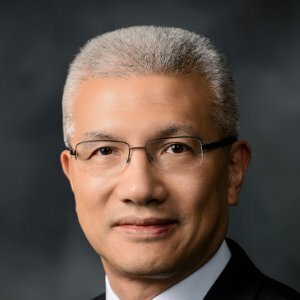 Previously, he was a Managing Principal of Quadrangle Group and a Partner of Goldman Sachs & Co. where he served as Chief Investment Officer and Head of the Global Manager Strategies Group. At Goldman, Doug was responsible for manager selection across all traditional asset classes as well as the strategic development of GSAM's Institutional Fiduciary Management business. 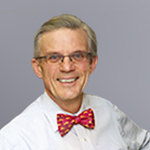 Doug holds an MBA from Columbia Business School and a BS from University of Pennsylvania – Wharton School. Alex Bangash is founder of Trusted Insight, the largest institutional investor network in the world. 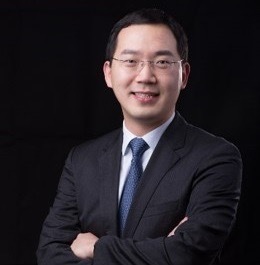 A senior venture capital investor, limited partner adviser and entrepreneur, he is also Managing Director of TI Platform Fund, a venture capital fund-of-fund specializing in innovative technology. 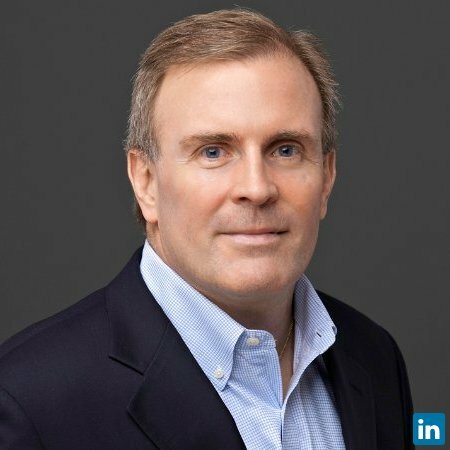 Prior to launching Trusted Insight in 2010, he served as managing director of Rumson Consulting Group, a company he founded in 2003 to provide investment advice on private equity and venture capital. A graduate of Cornell University, Mr. Bangash earned an MBA in Investment Management from the Wharton School of the University of Pennsylvania. 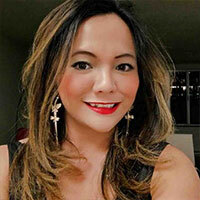 Trang Nguyen is a portfolio manager with Trusted Insight. She has more than a decade of experience investing in startup technology with Sutter Health and Visa. Chief Executive Officer, Science Inc.
Is Private Credit Living On Borrowed Time? Each Roundtable Discussion is led by a subject matter expert specifically assigned to initiate a lively and open dialogue about a relevant investment management trend or issue. Share your vision with the biggest network of institutional investors. Juniper Capital, along with its affiliates, provides private equity capital to middle-market oil and gas companies. We are focused on working with high-quality management teams to provide transformational capital to demonstrate the value and productive potential of properties located primarily in the continental United States. Our team is comprised of experienced individuals who collectively have invested in over 40 private oil and gas companies or projects over their careers. Founded in 1939, Neuberger Berman is a private, 100% independent, employee-owned investment manager with approximately $267 billion in assets under management. From offices in 30 cities worldwide, the firm manages a range of strategies— including equity, fixed income, quantitative and multi-asset class, private equity and hedge funds— on behalf of institutions, advisors and individual investors globally. With more than 500 investment professionals and approximately 1,900 employees in total, Neuberger Berman has built a diverse team of individuals united in their commitment to delivering compelling investment results for their clients over the long term. True Partners Consulting is a world-class tax and business advisory firm that helps large public and private enterprises navigate complex tax and financial regulations without the Sarbanes-Oxley created conflicts inherent in offering both tax consulting and audit services. The firm provides a broad range of income, sales, use and property tax services, including maximizing the tax benefits associated with complex corporate transactions, acquisitions, dispositions, restructuring and bankruptcy; audit defense, accounting for income taxes and uncertain tax positions, refund reviews, negotiating and claiming credits and incentives, preparation or review of tax returns, unclaimed property, tax risk and process reengineering, international tax and transfer pricing. Paddock Fund Services is a boutique Private Equity Fund Administrator specializing in accounting, administration, and investor services for closed-end private equity vehicles. The firm is management owned and employee and client focused. This allows proper reinvestment into the business. The management team has serviced thousands of closed-end fund structures and investors working with emerging managers, middle market managers, and the most well established general partners. In order to ensure a balanced forum, we are limiting the number of general partner tickets available to 50. All requests to attend will be assessed by our team. To speak with a sales representative, please contact us at events@thetrustedinsight.com or call 1-415-871-0280. Before applying to attend, please read the following Terms & Conditions. G.P. tickets are priced at $4999. There is an early-bird rate for G.P. tickets of $1999, which is valid until March 24, 2017 or until the first thirty G.P. tickets are sold, whichever occurs first. Eligible L.P.swill be issued a complimentary ticket to Trusted Insight Alpha Conference upon request.L.P.s include institutional investors, i.e. an investment professional at an endowment, foundation, pension fund, corporation, single-family office, sovereign wealth fund or insurance firm. This offer does not extend to multiple-family offices or fund of funds or to anyone who does not hold an investment position within the firm types listed above. Any other individuals who are neither an L.P. or G.P will be quoted a ticket price on request. Trusted Insight reserves the right to determine who is eligible for an L.P. ticket and who is eligible for a G.P. ticket at its own discretion. Trusted Insight reserves the right to alter the cost of any ticket at any point, and to change the dates or conditions for “early-bird” tickets. G.P. ticket holders attending the event are not allowed, under any circumstance, to actively advertise or promote their fund or services to L.P. ticket holders, unless that information is specifically requested by an L.P. ticket holder. G.P.s reported to be promoting their fund or services at the Event will be ejected and banned from future Trusted Insight events,at Trusted Insight’s discretion. Your registration for the Event constitutes an offer to Trusted Insight to attend the event. All registrations are subject toacceptance by Trusted Insight, which will be confirmed in writing (including email). Payment for the Event must be received in full by Trusted Insight. If payment is not received before the Event, Trusted Insight reserves the right to require payment as a condition of entry to the Event or to refuse entry to the Event without liability. Once purchased, Event tickets cannot be cancelled and no refunds will be given. If you fail to attend the Event, you will still be liable for the full ticket amount payable to Trusted Insight. Trusted Insight reserves the right to refuse refunds for registrationor tickets purchased for the Event. It may offer refunds at its own discretion. Trusted Insight reserves the right to refuse registration to any person, without having to provide a reason. Trusted Insight reserves the right to cancel any registrationafter confirmation without liability. Trusted Insight reserves the right to postpone or cancel the Event at anytime without liability at any time for any reason. Trusted Insight reserves the right to alter the event in any way, including format, speakers, content, location and timing of the Event, without liability. Registration for this Event is for personal use only. You may not procure registrations as a third-party agent, sell or transfer your registration to others or exploit your registration commercially or non-commercially in any way. The person attending the Event must match the details given at registration. Trusted Insight reserves the right to refuse entry or eject any person from the Event at its own discretion, regardless of their registration, if they fail to comply with the code of conduct or suitable behavior as expected at the Event. All unauthorized filming, sound recording and photography, or the unauthorized transmitting of audio or visual material, dataor information, is strictly prohibited at the Event. Any person found to be in violation of this term may be removed from the Event and banned from future Trusted Insight events. Trusted Insight reserves the right to destroy or delete any unauthorized content from the Event. By registering for this Event, you consent to filming, photographing and sound recording on behalf of Trusted Insight, and for Trusted Insight to use this content for its own marketing, promotional and other purposes without liability or restriction. Content from this Event may also be licensed to any third party with the permission of Trusted Insight. Trusted Insight reserves the right to store your personal information, which you provide to us in registering or attending the Event. It also reserves theright to share this personal information with selected third parties. Your personal information may also be shared with government entities and regulatory authorities as required by law. Trusted Insight does not hold liability for use of this data by government entities or regulatory authorities. Trusted Insight and its employees are not liable for any loss, injuries, damage or death that happen to any persons or their property at the Event, whether direct, indirect, incidental, special or consequential (including, without limitation, loss of profit, loss of business or any other type of economic loss) or otherwise. Our team is reviewing your submission and will notify you shortly if your request has been approved. is closed for this event.